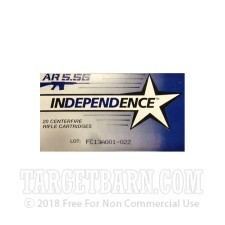 This is 5.56 NATO ammunition from Independence. 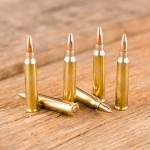 These rounds are loaded into boxer primed new brass cases that are re-loadable and carry the standard 55 grain full metal jacket boat tail projectiles. You can expect to see around 3,165 feet per second at the muzzle. 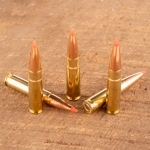 This NATO spec ammo is M193 ball that has a copper jacket and a lead core. Independence ammunition is loaded in a few different locations. 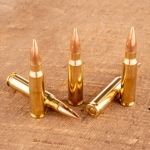 These 5.56 NATO rounds are made in Israel by Israel Military Industries (IMI). 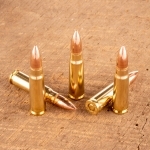 These are high quality rounds with proper annealing making this brass great for re-loading. While you are here be sure to check out our great selection of shooting accessories!